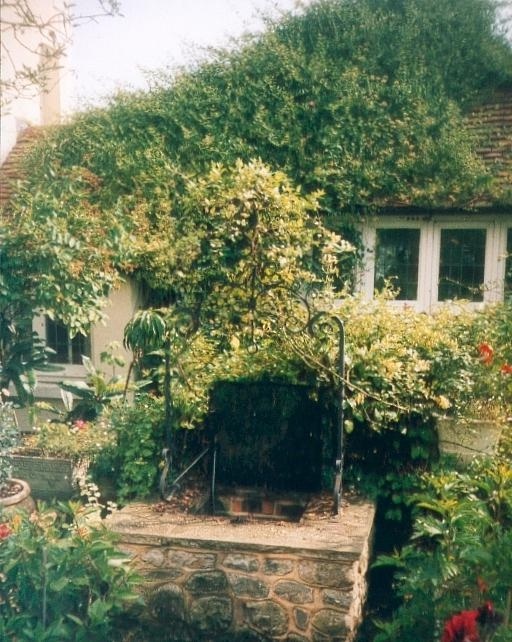 In the 1990s I researched for work on holy wells and healing springs of Kent, publishing a number of articles in Bygone Kent on the subject. Little did I know that fellow researcher, James Rattue was simultaneously working on the same county. 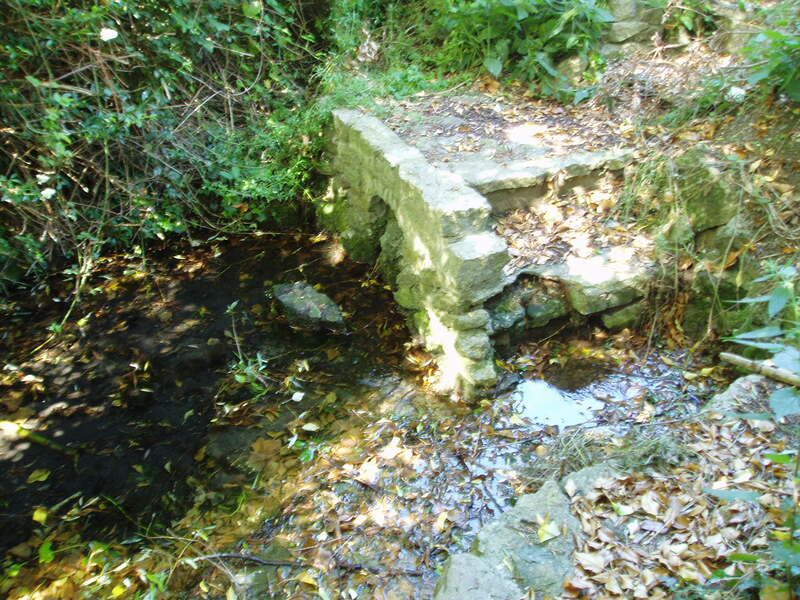 This year I may publish this unpublished work mainly because unlike James’s excellent work it is a full field guide and covers sites which he did not uncover…below is an extract of one of the county’s most famous springs together with another site James did not know still existed, Colet’s Well. Kirkham (1948) notes it was suffering from neglect being ‘now said to be choked up and half full of tins.’ This decline would appear to have started a long time ago, as a folly tower, now demolished, was built on Otford Mount a nearby earthwork, from the well’s stone work. 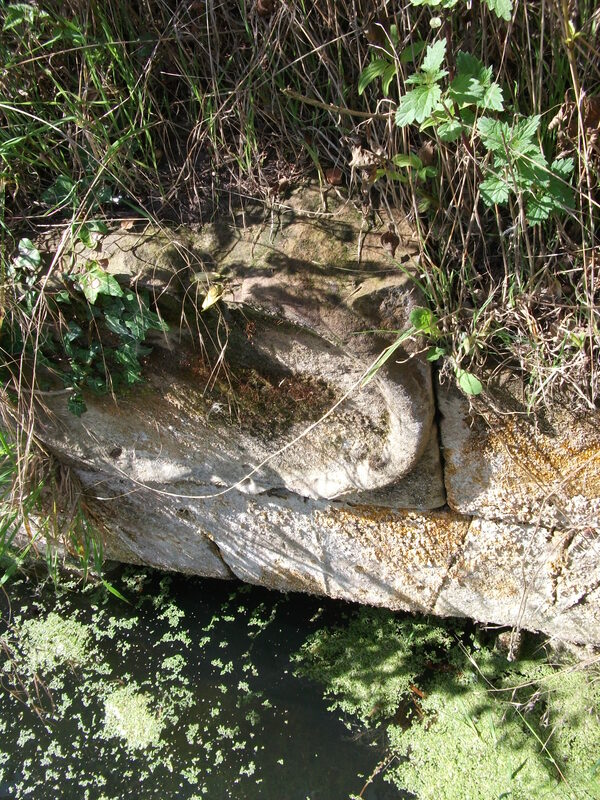 Consequently, this degraded condition prompted excavation in the 1950s by the Otford and District Historical Society; the following details of their findings are now briefly described. The report noted that the well consisted of two chambers, with water emerging from two arched outlets into the first of these. This chamber is surrounded on three sides by walls, thirty-five feet by thirteen feet (east end), the walls are eight feet high, and at the same level of the ground. Six steps at the south east end give access to the well chamber. The sluice wall is five feet high, eight feet wide, and is substantially buttressed on the western front. Water runs through this sluice wall, between steep banks westward, through a lower chamber, twenty-seven feet (north sides), and thirty-five feet (west side). The water then flowed through watercress, and finally through an underground, probably Tudor conduit. This conduit then passes through the site of the Palace. 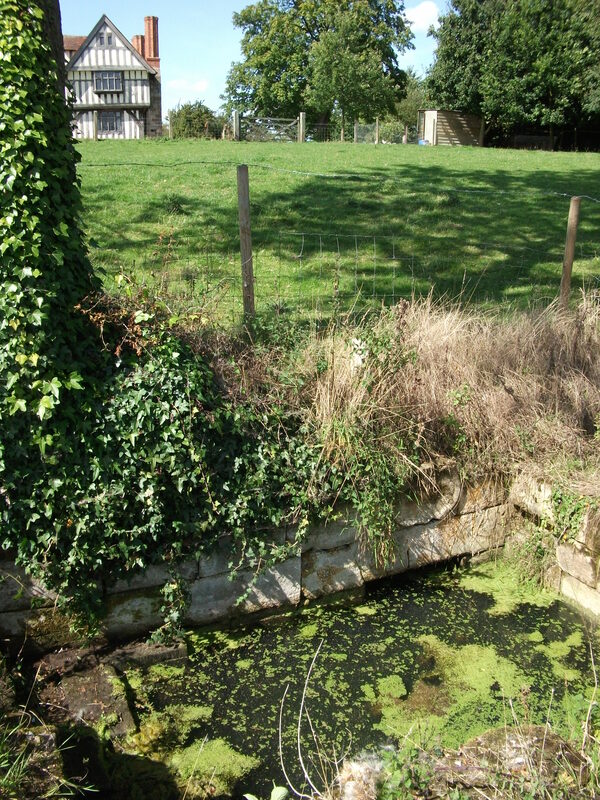 This stream, once fed a moat, but now discharges into the Bubblestone Brook, a Darenth tributary. Locally common thought was that the well is the remains of a Roman bath house, a belief echoed by its present owner. A view endorsed by both Ward (1932) and Harper and Kershaw (1923) who note that it ‘is really a Roman Bath.’ This view is further supported by the two surrounding Roman villas, and hence one aim of the excavation was to evaluate this long held claim. Yet, although they showed that the well had gone through considerable renovation and rebuilding over the centuries, no remains could be positively be dated to this period. This renovation, of course, resulted in a rarity of deposits, and hence with a lack of artefacts, the subsequent interpretation was thus difficult. By the 1600s, the Palace was in disrepair, and the well was only used for private consumption by Castle farm. Despite this, restoration still continued, and the north, east and south wall saw upper improvements by the 1700s. In the lower chamber a stone west wall was erected on Warham’s brick foundations. By this time, the south wall was beginning to collapse, and was rebuilt in the 1800s. By 1954 repairs were again needed, as the north wall was collapsing. Goodsall (1968) reported that even after its excavation in the late 1950s, the site then enclosed in railings, was forlorn and overgrown with weeds. Forty years on, the present condition is similar to that illustrated in the contemporary photo, taken during the excavation: the intervening decades have seen the inevitable degradation, through time, of its infrastructure. Fortunately, the hideous railings have been removed, obviously to erect the trout farm infrastructure, whose water is supplied by the well. The walls appear now comparably greatly overgrown, which has probably preserved them, and the sluice wall / north, south and west walls appear the most ruinous, with the walling falling away towards the sluice wall. The walling was best preserved at the east end. 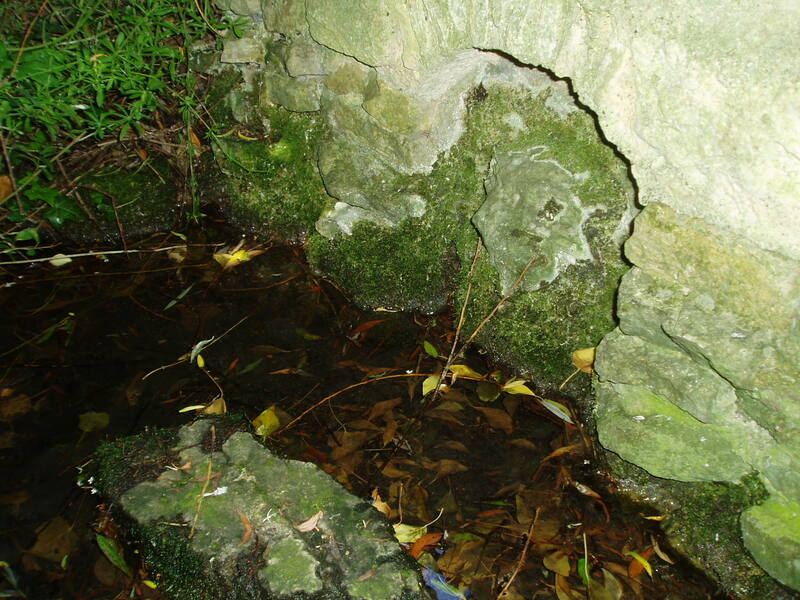 The clear spring appears to flow rapidly from its source, and has the appearance of being deeper. As stated, it now has now a commercial function, providing good quality water for the raising of trout flowing through a series of fish ponds replacing the cress beds. The owner, Mrs. Burrows believed that the well was originally roofed. The results of the excavation did not indicate this although it may be a mix-up with the possibility of a conduit house over the well. She also stated the water stayed the same temperature through the winter and summer, a constant 500C, certainly beneficial to bathers. There is another named well in Otford, called Colet’s Well (TQ 530 589) named according to Mrs. Burrows after the famous Christian philosopher. Clarke and Stoyol (1975) state that ‘Colet’s Well’ House is built upon a monastery site, but they make no reference to the well, although it appears to lie within monastery gardens, suggesting a holy origin! Is this further supported by the tradition of a subterranean tunnel linking the House with Otford Mount? Such legends are often connected with holy wells and are used by some authorities as evidence of ley lines or processional paths. The present owner of the property could not inform me of its origins, but noted that much of the fabric of the walls surrounding the house gardens had pieces of the abbey. The well itself is a circular deep well, with a square brick top, which supplied water via pump. I was informed that water is said to flow at times through the cellar of the house. Interesting the part of the house overlooking the well is said to be haunted! Directions: To find Becket’s Well go along the A225 to the centre of Otford, park in the car park (in front of the row of terraced shops) near the Bishop’s Palace. Take a small private road to Castle farm, now as said, a fish farm. 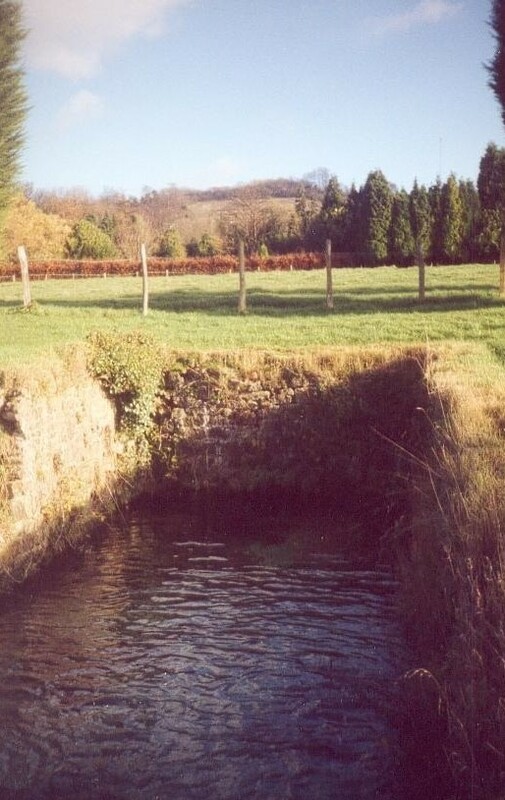 Enquire here, if you are able to visit the well, which lies on private land within a complex of fish pools to the east of the farm house. Colet’s Well lies in the garden of Colet Well House, and hence access is difficult, serious enquiries can be made via letter. Whilst recently in Buckinghamshire, I was able to visit two noted sites in the county. Buckingham’s St. Rumbold’s Well is sadly dry but a pilgrimage to the site is well worth it. It was easily found using Rattue’s descriptions and is surrounded by a metal railings with a symbol of the saint on it. Restored in 2002 the well consists of a stone chamber and as Rattue (2003) notes a depression nearby could have been a bath. 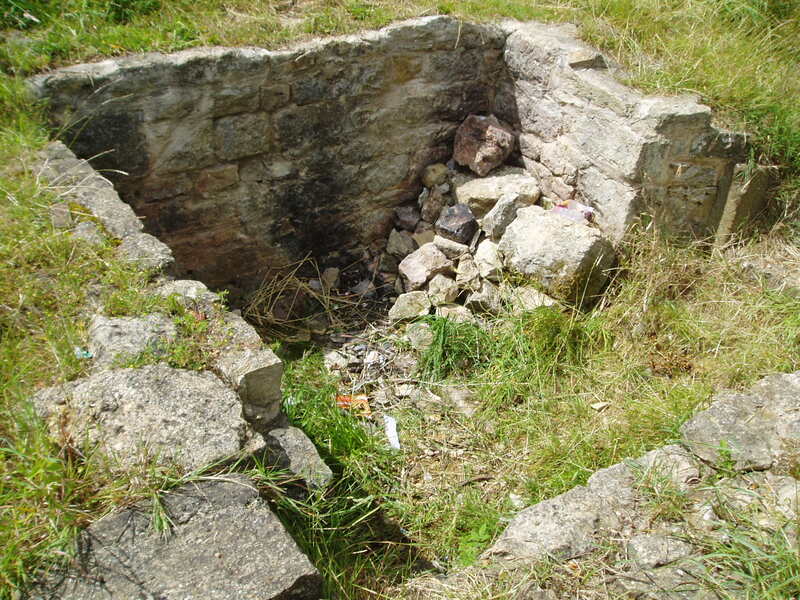 I found the well still in fair condition but had suffered with some recent vandalism and fires had been lit in the chamber and some walling had fallen down. 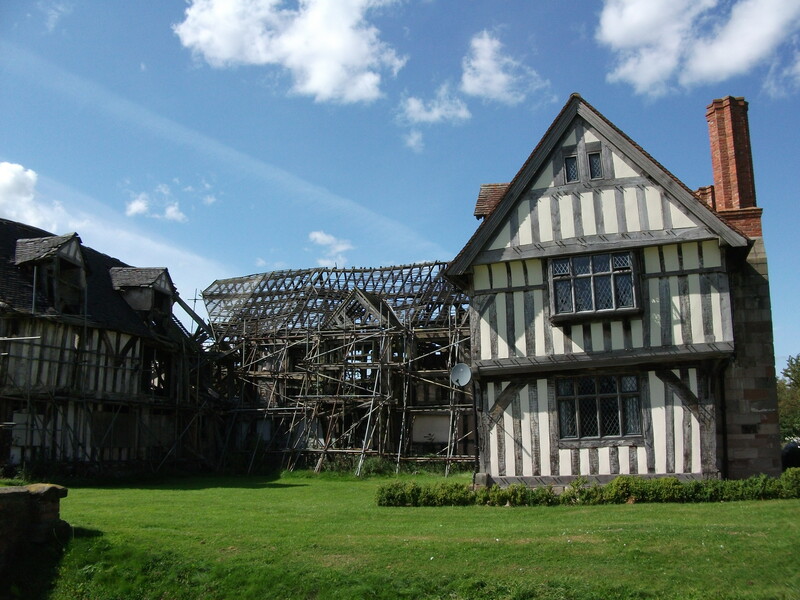 As Rattue (2003) notes it appears unlikely that a friar would have visited the site. Buckinghamshire is not perhaps an obvious county for those interested in holy wells but a long visit does repay as long as a copy of James Rattue’s book is taken with you. In researching the Holy wells and healing springs of Staffordshire, my research brought me to Lord’s Well (SK 220 230) at Burton on Trent. It appears to have been called variously God’s or St Anne’s Well. This is found below Sinia Park House, a black and white wooden building set high on a hill above the Town. A footpath passes from the end of Lord’s well lane off the Shobnall lane, second turning on the left after the A38, however the causal visitor would be unable to see the well and the grounds are surrounded by tall trees and the well lays on private land. However, I was fortunate to be granted an opportunity to investigate the site by the present owners of the house, Mr and Mrs Newton. They took over the house and have done a fantastic job repairing this noted building believed to have been granted to Burton Abbey, the original house appears to have been used as a grange for retreating monks who were undergoing blood-letting! It seems very likely they would have used the spring, but no firm evidence exists of this. At the Reformation, the land was sold to the Pagets who used the house as a hunting lodge. The present structure dates from the mid to early 1700s, probably as a bath to ease pain after a day’s hunting. Certainly the structure appears to be a plunge bath, approximately nine feet by six feet made of squared sandstone blocks. There is a series of six or so steps to the west end of the bath. The spring appears to arise to the north in a small chamber, which according to Mr. Newton is blocked by a large rectangular stone. Over the chamber is a small plaque carved into the stone. 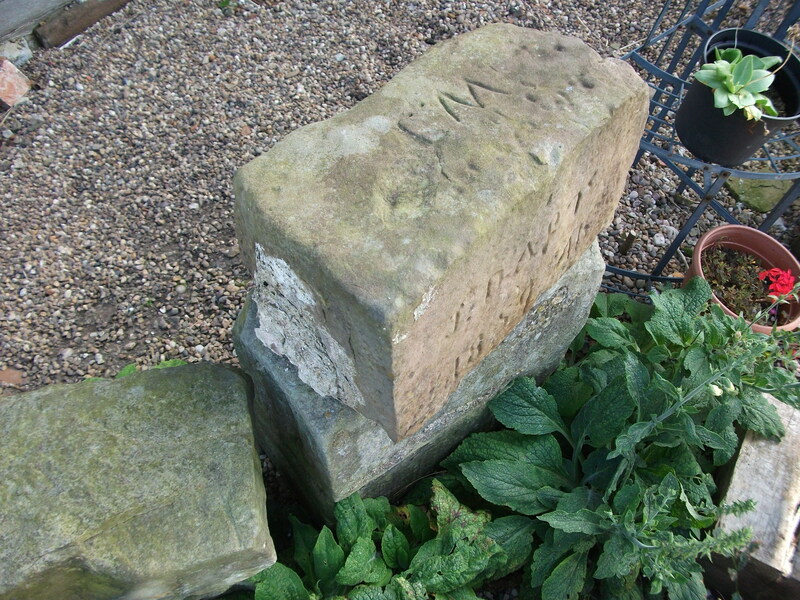 This appears to have had a carved inscription but it is difficult to read, Mr and Mrs Newton said it was decipherable when they told over the estate and indeed took a photo but have mislaid the photo! 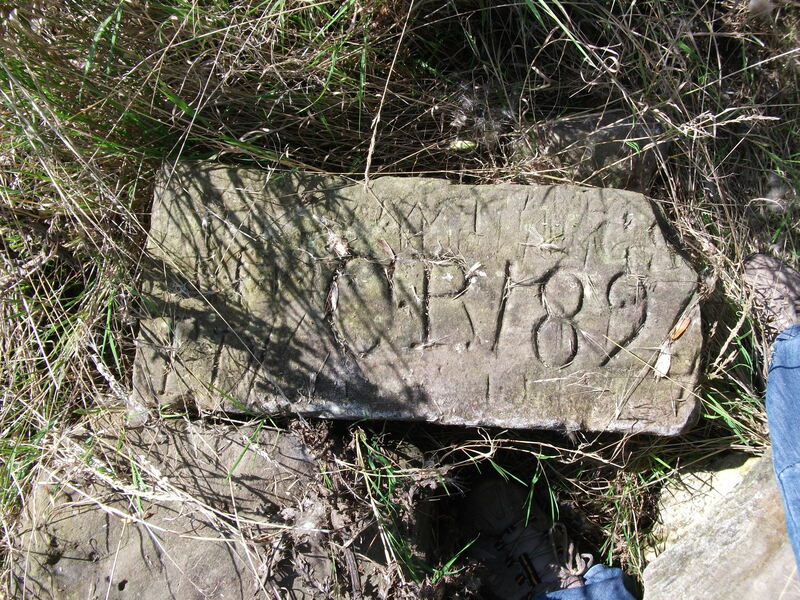 Mr Newton informed me that when he pumped out the well he uncovered a large number of stones which were covered with carved graffiti, most of these dated from the late 1800s and presumably record inhabitants of the house. He also revealed two metal hooks which look like the remains of a structure which help a sluice gate enabling the bath to fill so it could be used. A drainage hole was located near here and the water emptied a few yards in a small copse. 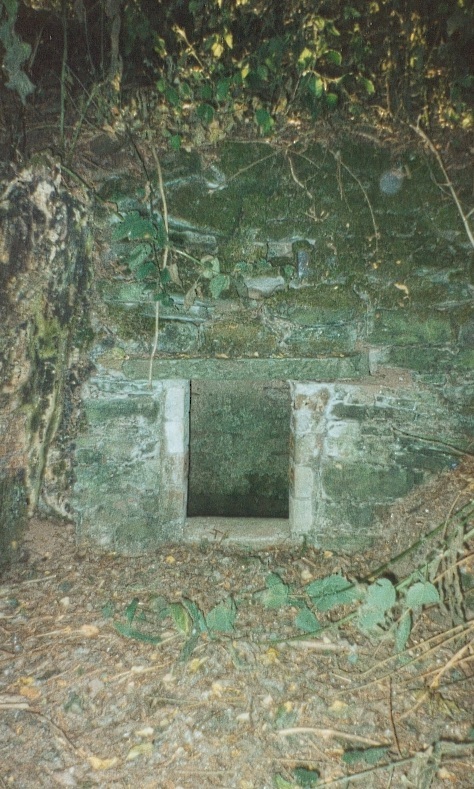 Like many sites the well has a good legend, here a local tale tells that the house had a secret tunnel to Burton and indeed local people told the Newtons that there chamber could be the start of this tunnel. It seems very likely considering the height of the spring that it records some account of a conduit to the town. The origin of the name would appear to be clearly secular, (cf Lord’s Well Southwell in Holy wells and Healing springs of Nottinghamshire), but record of the site being called St. Ann’s and God’s well is significant but I have been unable to trace the earliest use of these names. Directions: The Lord’s Well lies in the private grounds of Sinai Park House. This is currently owned by Mr and Mrs Newton who open to the grounds on special days. 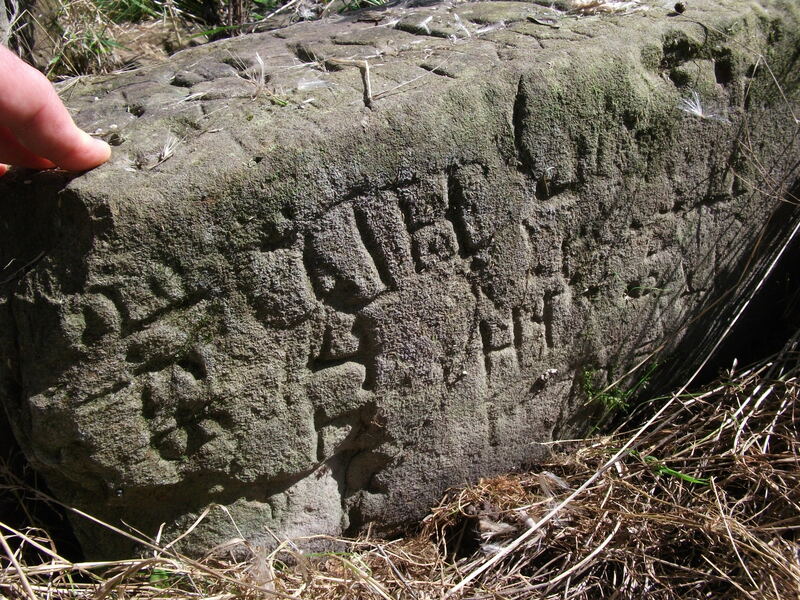 Different engraved stones said to jave been from the well.